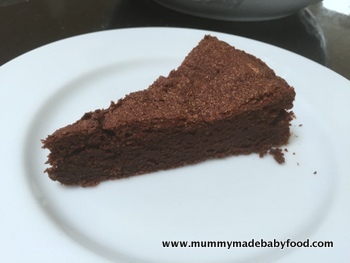 My favourite home made cake recipe of the moment is this one for gluten-free chocolate cake, a lovely, dense and rich treat full of dark chocolatey goodness. Chocolate gets a bad rap, but eating high quality, dark chocolate of 70% cocoa or greater - with its mineral dense and antioxidant nature - in moderation, can actually be beneficial to your health. The chocolate to steer clear of are the candy bars that are often loaded with sugar and other additives and contain very little actual cocoa solids. So, if science supports it, I'm buying it - any excuse for eating good chocolate! 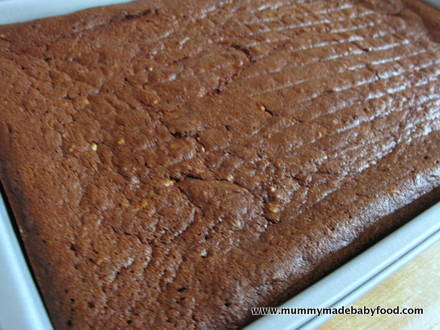 Did I also mention that this gluten-free home made cake is flourless?! Another reason I love it - not only is the taste to-die-for, but it is also quick and easy, as there is no messing around with flour of any kind. The recipe below is also dairy-free, as it contains coconut oil rather than butter. If eating dairy is not an issue for you, you could substitute with butter or use half and half. If using coconut oil, it's important to get the right texture, otherwise your mix will not come together. The oil should be room temperature, which means soft but still in a solid state. If it is a hot day or you live in a hot climate, chill the oil in the fridge for a few minutes to firm it up. You don't want it to be too hard, otherwise it will not blend easily. For the hazelnuts, it's always nice to roast your own, if you have the luxury of time. But if you don't, you could always take the cheat's approach and use pre-chopped roasted hazelnuts. :) The nuts pair divinely with the dense chocolate cake, but you could choose to omit them, if going nut-free, as I have done before, and the cake still turns out deliciously. Experiment a bit, and try this recipe at your next dinner party - no one will believe that it is home made cake! This recipe yields enough cake mix for a 9 inch x 12 inch rectangular sheet cake. Grease a 9 inch x 12 inch rectangular cake pan, and set aside. Place the hazelnuts in an ovenproof pan and roast for about 10 minutes. Remove from oven and cool for a few minutes. Rub the skins (mostly) off with your hands or a clean tea towel or cloth before placing them in a food processor. Blitz the roasted hazelnuts with 20g of caster sugar until finely chopped and combined. Turn oven temperature down to 160C / 140C Fan. Place them in a bowl and mix with 20g of caster sugar until thoroughly combined. Preheat oven to 160C / 140C Fan. 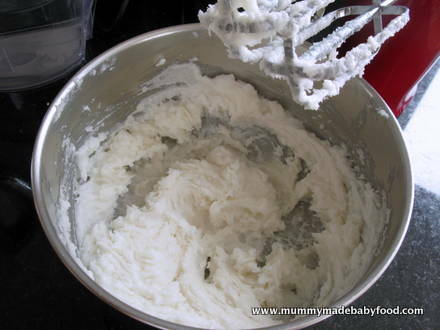 In a large mixing bowl, beat the coconut oil with 60g of caster sugar until well-combined and fluffy. If your coconut oil warms up too much during the mixing and starts to liquify, place the bowl in the fridge for a few minutes to firm up again. Meanwhile, melt the chocolate in a heatproof container over a pan of barely simmering water. Stir occasionally until thoroughly melted and and completely smooth. Add the egg yolks to the coconut and sugar mixture one at a time, beating after each one until well incorporated. 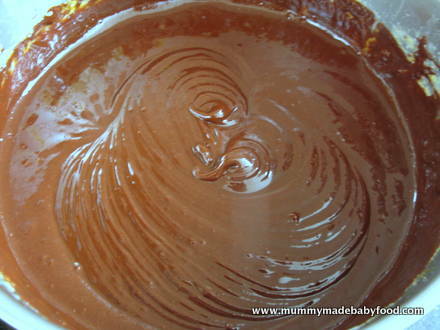 Add the melted chocolate and mix again until thoroughly combined. 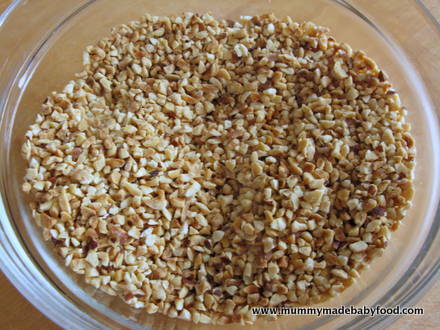 Fold the chopped hazelnuts into the mixture until evenly distributed. 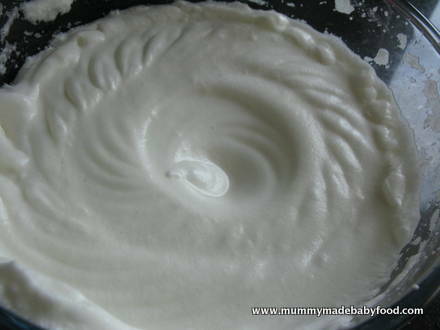 In a separate, large bowl, whisk the egg whites until stiff peaks form. 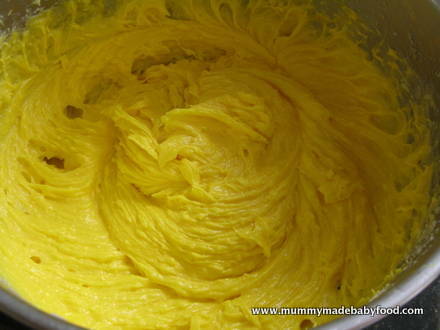 Add the remaining 100g of caster sugar, and whisk again until fully incorporated and glossy. 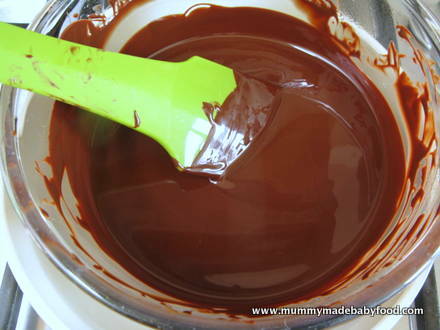 Add a third of the egg white into the chocolate mixture, and stir in to loosen. 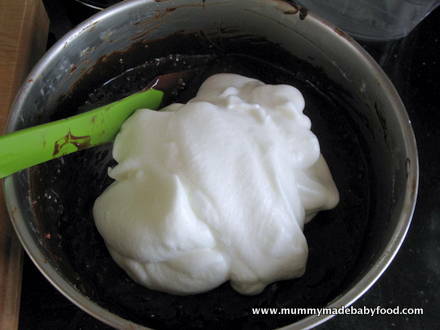 Add another third of the egg white into the chocolate mixture, and gently fold in until incorporated, trying to retain as much air as possible. Repeat with the remainder of the egg white, folding gently until no more egg white is visible. 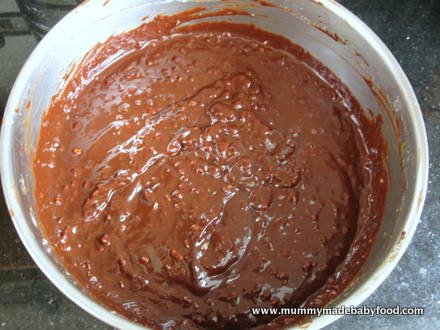 Pour the the chocolate mixture into the cake pan, smooth the top, and bake in the preheated oven for 50-55 minutes. Remove from oven, and allow the cake to cool for several minutes. Do not worry if the centre sinks slightly - this is normal! Tip the cake out onto a wire rack to cool completely before frosting and decorating. 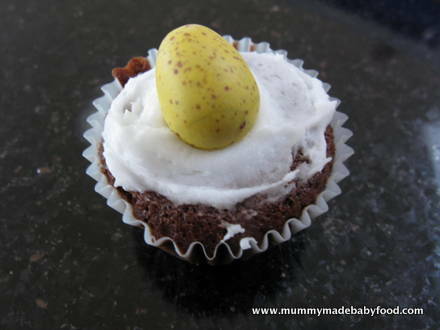 This recipe can be halved and baked into a round cake using a 20cm (8 inch) loose base springform tin. 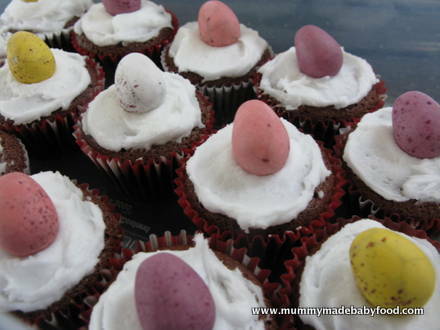 Or you can make lots of cute Easter-themed mini cupcakes, if the time of year is appropriate.